Our PR agency has been entrusted with the communication tasks of the developments of Modern Cities Program in Érd. The Modern Cities Program is an infrastructure development project financed by Hungarian government, involving most of the important Hungarian settlements. In Érd, the largest city of Pest County, the key item is repairing and expanding the town’s road network. Our PR agency has been entrusted with every communication tasks connected to the project. This isn’t the first time we can work in Érd: few years ago we were responsible for the communication of the local sewer network development – one of the largest Hungarian sewerage projects. Machines will emerge from spring in several locations all around the town inhabited by nearly seventy thousand people. The work will be visible, locals will see it many times. Therefore carefully planned ad structured communication campaign is necessary. We have two main goals: present the developments and the potential advantages and on the other hand keep informing the citizens about the ongoing construction works, traffic restrictions etc. Information will flow online and offline channels simultaneously. We develop new website, write press releases, design and print brochures, organize public forums and other events and provide online customer service for manage questions and complaints. The project is scheduled to finish by the end of the year. 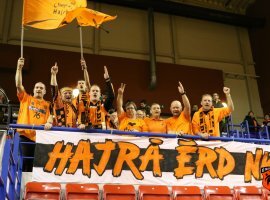 Our PR agency assists ÉRD, one of the major contenders in the current season of the Hungarian women’s handball championship. The Simonpuszta National and Traditional Horse Association launched the summer break with a spectacular children’s festival. 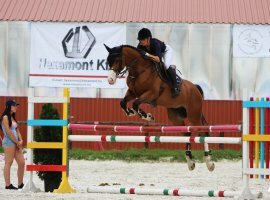 Hundreds of families attended the event in the horse park near Érd.